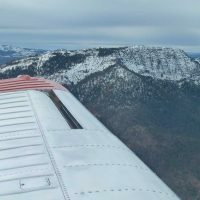 I have mentioned traffic pattern size in the past, generally in the context that some of the local pilots or instructors are flying patterns too far away from the runway. I often find it hard to locate pattern traffic when position reports are given because of the differences in pattern size. 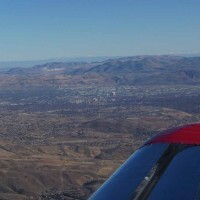 If I am flying on my downwind leg and another aircraft makes a downwind or base position report I first look in a direction away from the runway – for a left downwind, the other traffic is usually to my right or right-forward if they are turning base because their downwind positioning is much wider than mine. Part of my close-in pattern choice is because of my old-school view that it would be nice to be able to hit the pavement if the engine quit and part of it is related to the glide ratio of my aircraft (see: crowbar). When I encounter a difference of opinion on pattern size I choose one of two options. 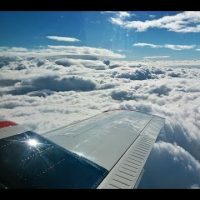 I try to adjust my spacing with the other plane to allow me to fly my own pattern while they do their thing or I land and practice my patterns another day. The one thing that I do not do is fly someone else’s traffic pattern. If you are going to make consistent landings you have to fly consistent traffic patterns. I didn’t make this post because I have recently had some ‘issues’ with local flyers, I just thought I’d pass along the ideas put forth in Paul’s video. Weather and timing have conspired to keep me out of my plane for almost a month and a half. It seems that when I’m out on a trip the weather here at home is beautiful. I’ve been home a week so far this time and the temperatures have been low and the winds howling – the commercial airport registered gusts to 55 mph yesterday. Today, April 5th, we have 2″ of new snow in our back yard with temperatures in the 20’s F. Welcome to Reno. The good news is that it’s supposed to be sunny and in the 50s the next three days so maybe, just maybe, I’ll get to go flying before I have to go back to work again. Here again, the difference between the US and other countries with less flying freedom is obvious. I learned to fly in Switzerland, where the patterns are completely prescribed. The exact position of crosswind, downwind and base legs is published, and we’d better not deviate from it… Really. Wow, I was not aware of that at all. I was aware of some of the other restrictions in Europe, such as filing IFR at night, but traffic pattern ground track restrictions are new to me. We definitely have a more flexible system here. Makes you appreciate it even more.